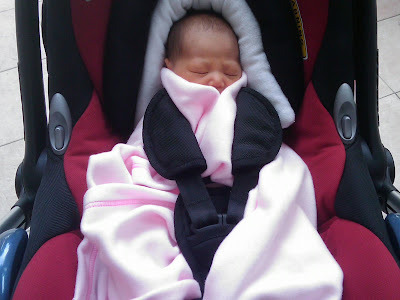 Talia is so tiny that we have to use all sorts of padding to make the car seat fit better. It really reminds us of those first few weeks with Ethan. She is has eyebrow furrows here because this is her first time in the outdoor sun and it's quite bright!